Even today, many physician practices don’t have email addresses where they can securely receive medical information from patients or other providers. 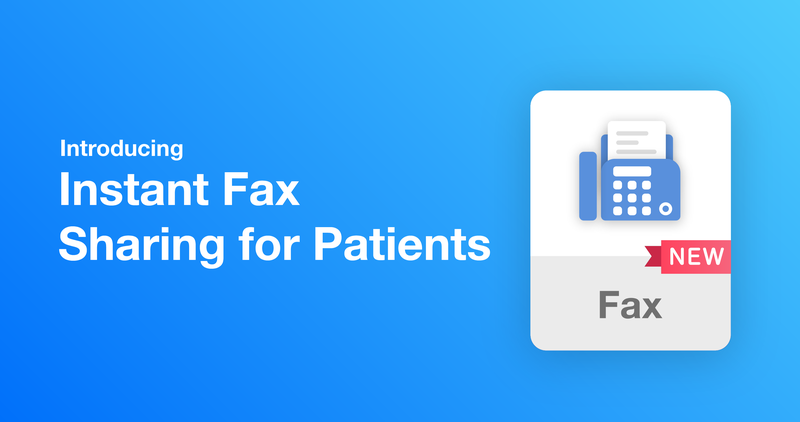 However, fax is still used daily by nearly every medical facility across North America to reliably send and receive sensitive medical information. And so, PocketHealth has introduced a new way for patients to share their records with any physician, anywhere: Instant Fax Sharing. Starting today, patients can securely fax a record access form (containing a link and unique code for access) right from their PocketHealth account, and provide their recipient with instant access to their DICOM imaging and reports. Patients can utilize the functionality by clicking on the “Share Records” button from within their account, selecting which records they wish to share (or sticking to the default: “All Records”) and entering in their recipients fax number. Within 1-2 minutes, the fax is securely received and the recipient can then seamlessly view the underlying studies in their original DICOM format via a FDA/Health Canada-certified, zero-footprint diagnostic viewer — eUnity — which is integrated into the platform. Records can be viewed on nearly any device with an internet connection and can be downloaded in their original, uncompressed DICOM format for import into the physician’s local RIS/PACS. With Instant Fax Sharing, patients now have another option to remotely and reliably share their full imaging record with any medical facility or physician, anywhere in the world. These options are still as useful as ever, as PocketHealth aims to empower patients by giving them the options to share how, when, and with whom they want.